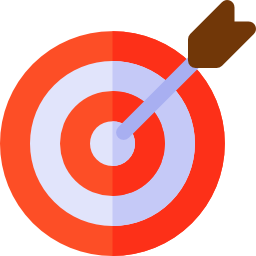 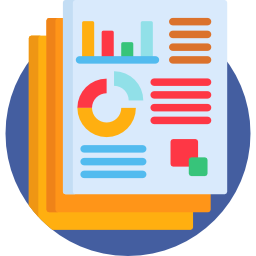 OUR SALES ASSESSMENT IS BACKED BY RESEARCH AND LEADS THE INDUSTRY – PROVEN TO PREDICT 95% OF SUCCESSFUL SALES PERFORMERS. 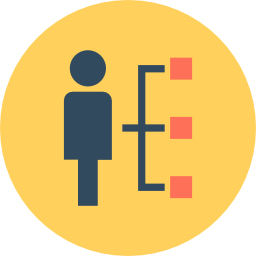 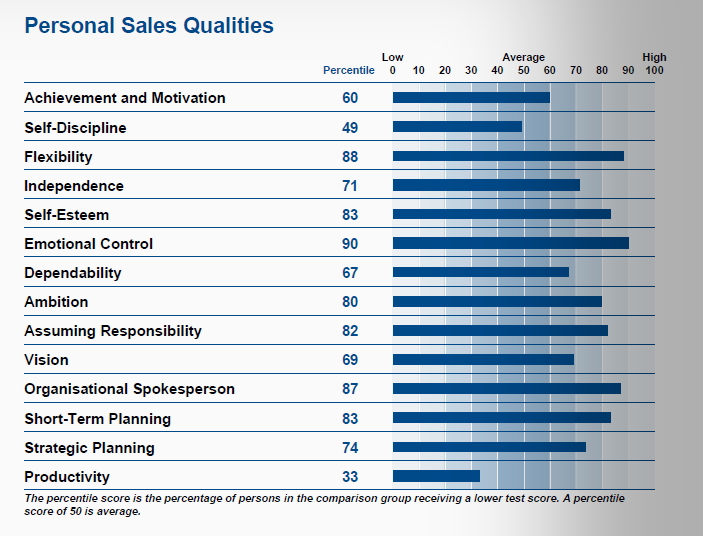 The Sales Effectiveness Questionnaire (SEQ) helps identify and place top applicants for sales positions. 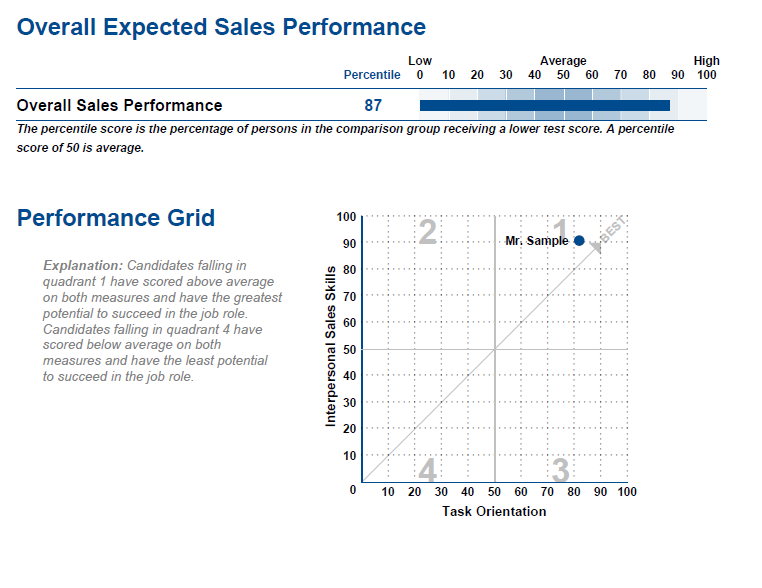 The comprehensive report analyses a candidate’s strengths and weaknesses on 28 dimensions that are critically important for success in sales, and provides a description of how personality will affect expected performance in each area. 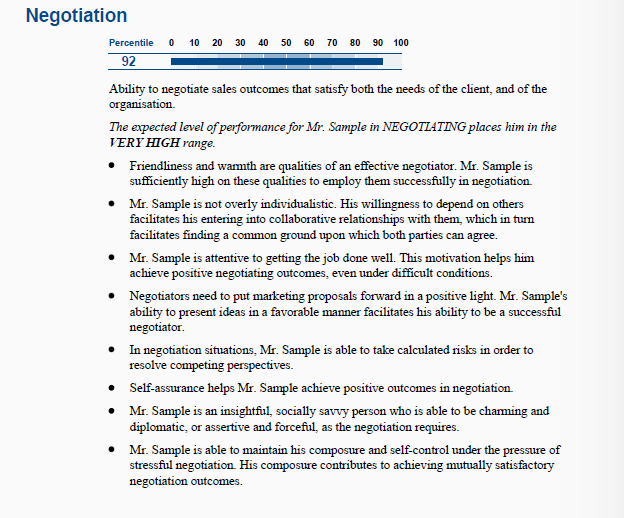 For each performance characteristic, the report contains a definition, a description of the person’s expected level of performance, and a set of statements describing the particular factors in their personality, interpersonal style, and method for organising work that influences their level of performance on that sales skill.